Description: Take part in a new war on the planet PX-21. 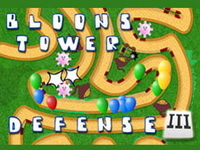 Build a towers, defend the base and win! Learn the history of PX-21 in 8 new bloodiest chapters. - Classic tower defence in sci-fi setting. - 8 addictive missions. - Lots of different towers. - Tons of enemies and FUN!